Mt. Everest Expedition is the highest peak in the world. It situated in the topographically and ethnically diverse country of Nepal at а height of 8848 meters. Mt. 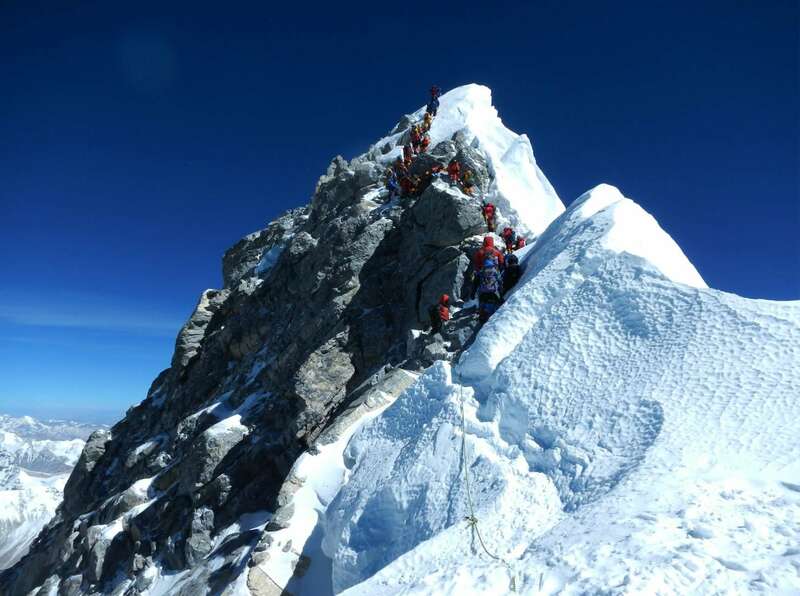 Everest receives about 1000 climbers the per year while a highly adventurous yet probably fatal climb, reaching the summit of this majestic peak is a feat. Since it had been successful ascent in 1953, after all, many successful and unsuccessful attempts have since been carrying out to reach the top of the world. 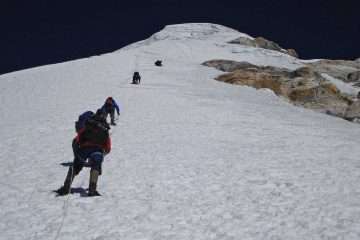 But proper acclimatization, good physique, and sheer determination along with mental alertness are the basic requirements of the Mount Everest expedition. Out of the two routes, the route via Nepal is best for climbing the Everest. This trek starts with а flight from Kathmandu to Lukla since it followed by a trek into Namche Bazaar and the destination for all supplies for the trek. Likewise, the trails move towards Everest Base Camp with proper acclimatization. The path goes by a trek along the Khumbu Glacier to the Everest Base Camp near the Khumbu Icefall while the Everest Base Camp is at the height of 5364 meters. Even though enough time for proper acclimatization requires avoiding altitude sickness. 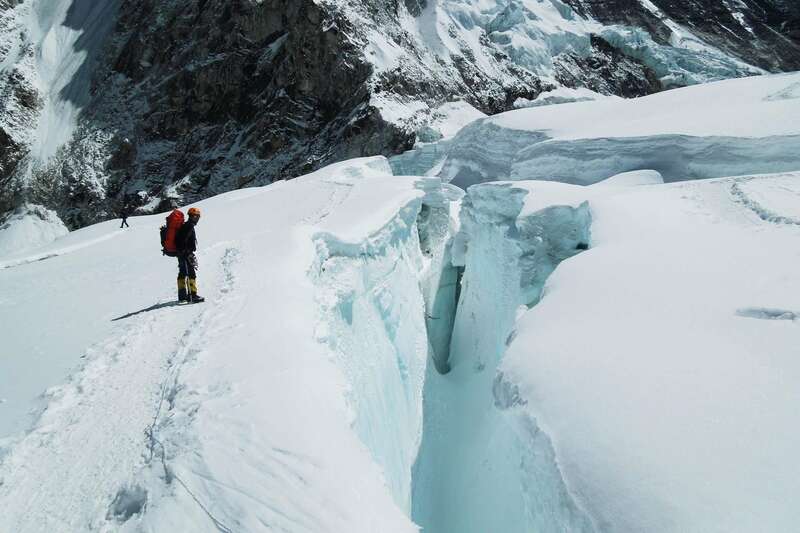 After crossing crevasses and large chunks of ice reach at an altitude of 6400 meters at camp 1st whereas camp 2nd set up at the foot of the Lhotse Wall. 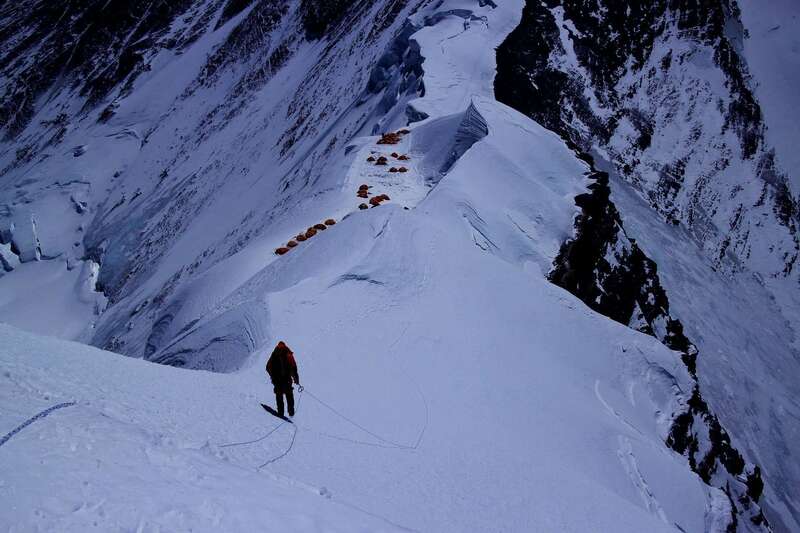 Similarly, Camp 3rd is at an altitude of 7100 m and requires climbing over the Lhotse wall. Oxygen needs basically over the 3rd camp to the height of Camp 4th at 8400 m and above. 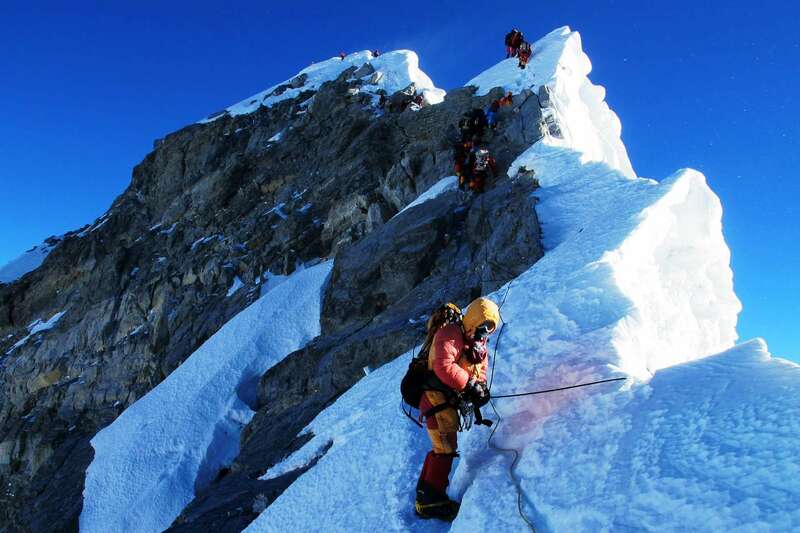 Since it is passing through the southeast ridge, a careful ascends upwards to reach the summit. The top of the peak offers spectacular views of other mountains ranges and various landmarks looking small in comparison. 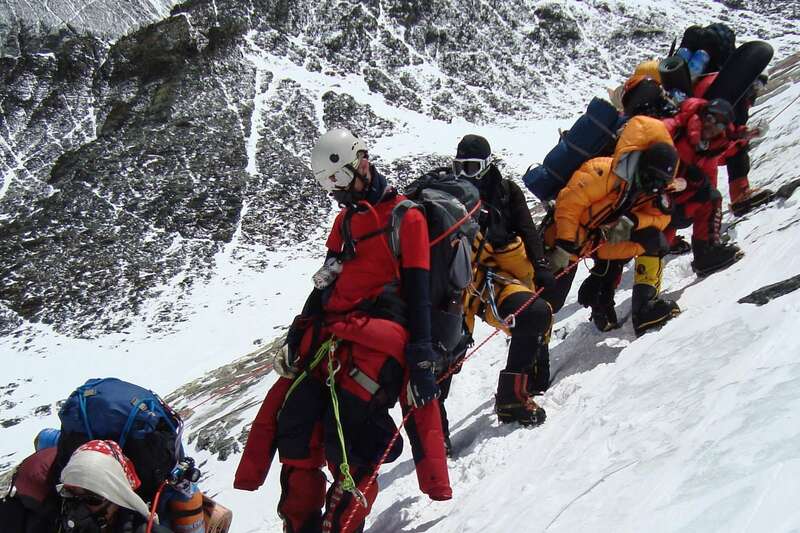 Reaching the top of Everest might have fatal consequences, so know how’s of climbing and special precaution have to follow. 3: Fly to Lukla and trek to Phakding (2652 m) 3h00 walk. 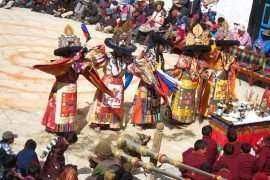 8 – 13: Acclimatization day, explore the Imja-Tse valley. 16: Gorakshep – Everest Base Camp. 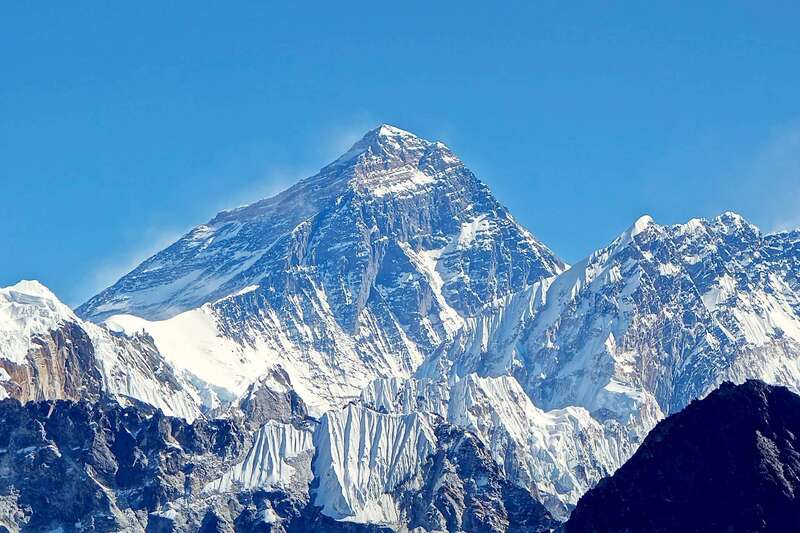 20 – 60: Expedition of Mount Everest. 62 – 64: Trek to Namche Bazaar via Dingboche and Tengboche. is more equipped with modern amenities such as the internet, phone, massage and more. A picturesque visit surround the Monastery and Himalayan scenery in the morning, as usual, start day journey toward Dingboche. An easy walk along day even in high altitude passes through several villages, Mani walls, and chhorten which influence the Tibetan Buddhism. Entering to Imja-Tse valley spectacular views of the mountain remains from Dingboche. Day 8 - 13: Acclimatization day, explore the Imja-Tse valley. Acclimatization day! Exploring the village then climb up to viewpoint 5,000 m give us proper acclimatization. 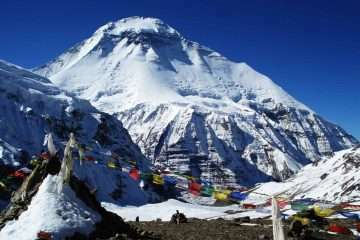 From the viewpoint, it offers spectacular mountain scenery including Lhotse (8,500 m), Island peak, Lobuche peak, Amadablam, and other major trekking peaks. Dingboche retains its beautiful fields and pasture in Imja valley. It is an important stage of the expedition. Dingboche is a good location for acclimatization. The team leader will organize daily outings to the adjacent hills with the aim of providing gradual acclimatization. Walk some of the nearby hills to slowly increase exposure to altitude. Follow the regime that you have previously found most suitable, to give you maximum acclimatization before arriving in base camp. While in Dingboche, we can attend a seminar on high altitude acclimatization at a hospital run by the Himalayan Rescue Association nearby Pheriche. The walk over to Pheriche and back will also serve as good acclimatization training. An adventurous journey to Everest base camp from Dingboche remains it Himalayan views in 360° along the trail to Labuche. The trail seems easy walking due to the altitude it’s difficult to breathe during the walk. A steep walk through moraine of Khumbu glacier from Thukla to Labuche we encounter many prayer flags and monuments in the memory of a mountaineer who is deceased during the expedition. The trail goes to Gorakshep along the edge of Khumbu glacier. The vistas of snowy mountains we still perceive. 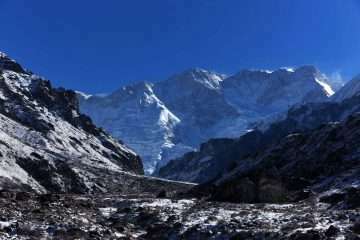 A small climbing of Changri glacier and zigzag trail get Gorakshep. Day 16: Gorakshep – Everest Base Camp. Easy walk to Everest Base Camp along the moraine of Khumbu Glacier and stunning views are remaining while ascending. First part of the trail is steep descending up to River and passes same things while we have seen while ascending. Day 20 - 60: Expedition of Mount Everest. Day 62 - 64: Trek to Namche Bazaar via Dingboche and Tengboche. Day 65: Trek to Phakding. The day is a just spare day in case of trouble to summit due to bad weather or altitude problem. Day 66: Trek to Lukla.